Home → Blog → General → Best of the Best in Bicester – WOW! 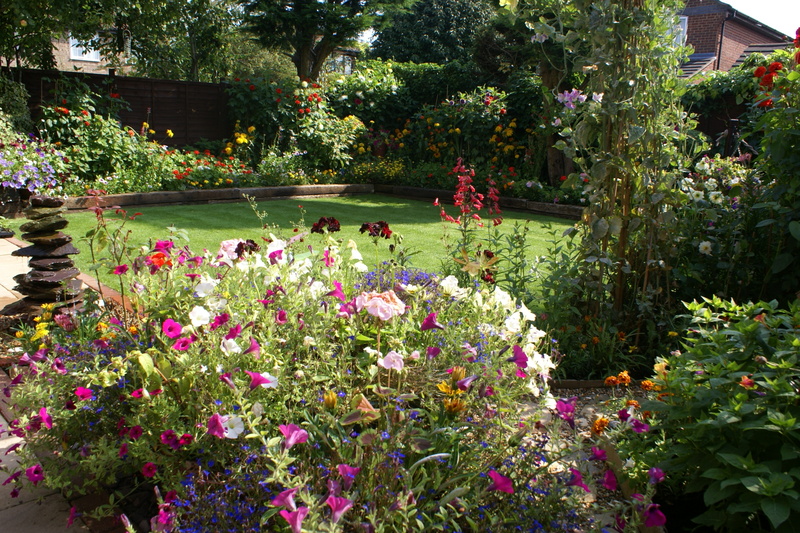 Well, be can’t quite still believe it, but our entry in Bicester in Bloom 2012 for Best Back Garden not only won Gold Award overall for the 2nd consectutive year but it also brought home the BEST OF THE BEST overall. The weather this year has been pretty poor. Our own circumstances have been pretty tough too. It’s such a great accolade for all of us, and it still hasn’t properly sunk in. 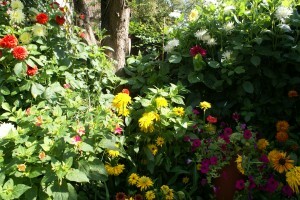 Dahlias (x3), Rudbeckia (mixed), Petunia “Purple Velvet” & a soon-to-burst Mirabilis, all a part of our borders for 2012. It was our success last year, coupled to my late Mum’s enthusiasm for me to become a “professional gardener” that brought about Ground Level in the first place. This one is dedicated to you, Ma.